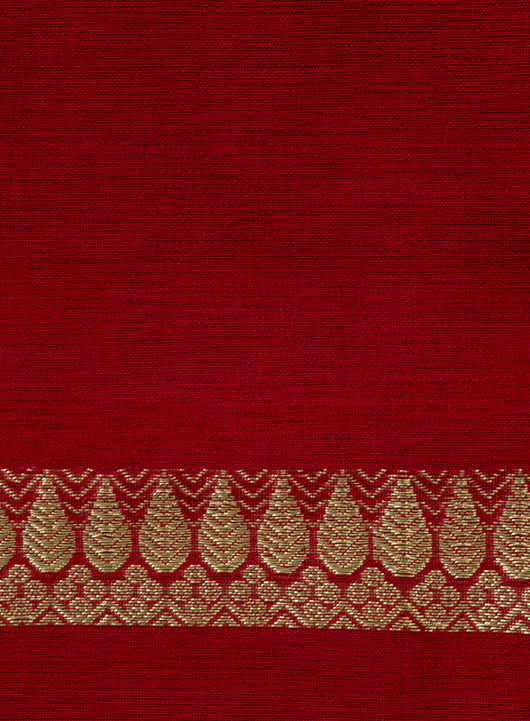 Ethnic Stripes brings to you this lovely Deep Red Mekhala Chadar from our latest collection. 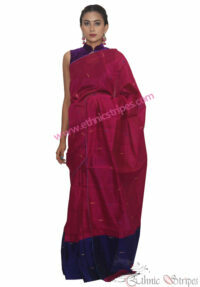 The Staple Cotton fabric keeps you feeling comfortable while you look beautiful. 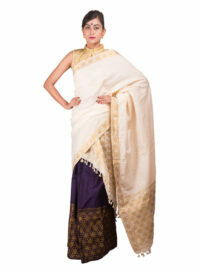 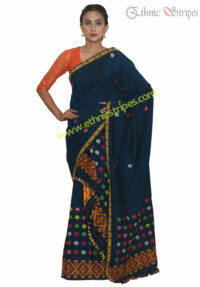 The pretty Lata design woven in zari and black threadwork lends this handloom set an exotic touch. 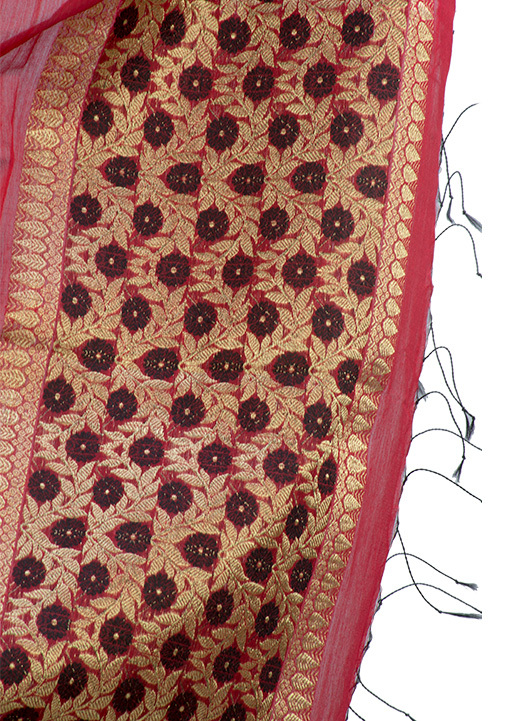 A blouse piece also accompanies this product so that you can stitch it according to preference and complete your traditional look with élan. 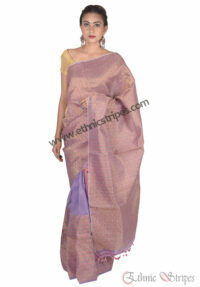 So makes this handloom set yours today and be the center of attention wherever you go!